Open : May to October ... Dimitra Hotel is located in a quiet part of the lively resort of Hersonissos. 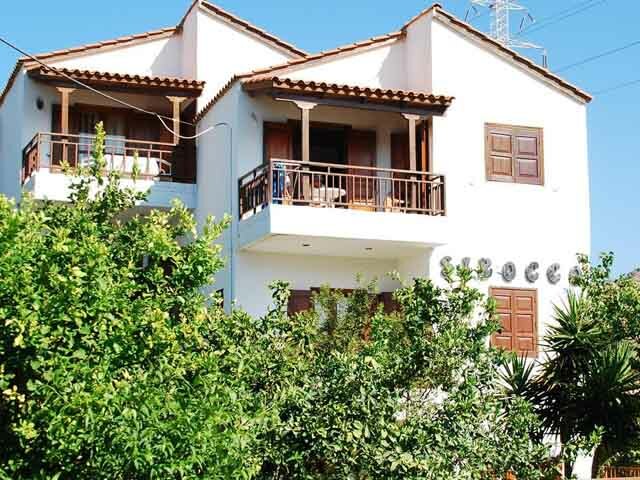 It is a family run property located in a quiet area of Hersonissos Village, near the King Minos summer palace ruins. A beautiful sandy beach can be found just 300 metres away. The guests will find in a distance of 100m a choice of tavernas, supermarkets, bars and restaurants. 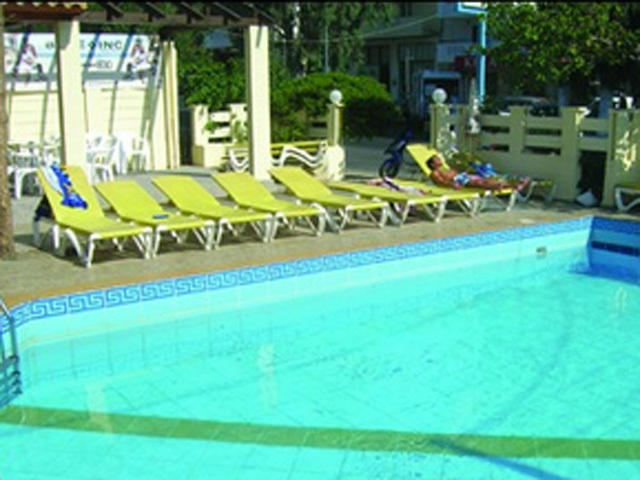 The hotel offers a very pleasant atmosphere, especially its lovely pool area, snack bar and gardens. Open:May to October...Sirocco Apartments are 300 m from Hersonissos beaches and Star Beach Water park and 500 m from the lively centre with its restaurants, nightlife and shops. The complex has its own swimming pool with pool snack bar and sun loungers. 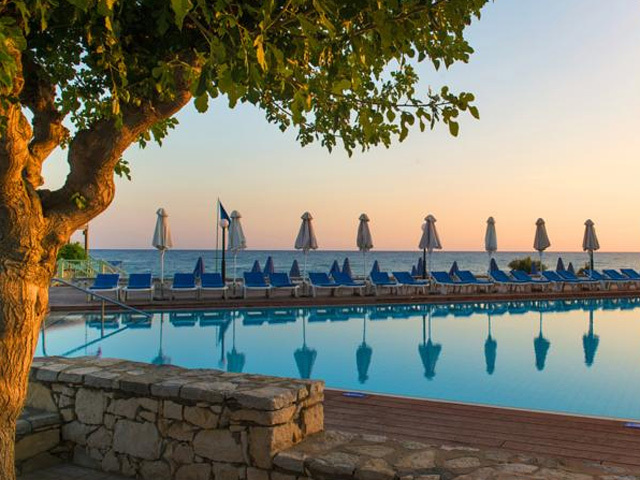 Open : May to October ... A small complex within easy reach of the resort centre, the Simple Hotels Hersonissos Sun (ex Vasso Studios) are perfect for young adults and groups of friends looking to experience all Hersonissos has to offer. Open : May to October ... Just 150 metres from the sea, Indigo Inn Hersonissos is located near the centre of Hersonissos Town.